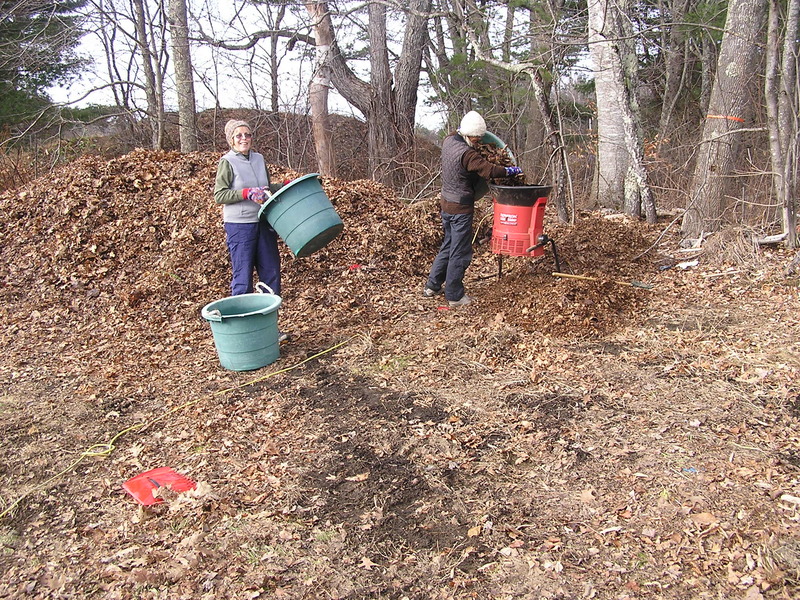 Master gardeners Sally Demeter and Amy Campbell brought a leaf shredder to school on their regular work day and proceeded to shred part of our massive pile of leaves dropped off by the good people of the Belfast maintenance crew. The shredded leaves will be used for mulch and composting food scraps in the large bins. We are always grateful for the added carbon to garden and compost!